With the 24th Annual HDI conference and Expo nearing, I thought it would be wise to remind everyone about the importance of thinking holistically when choosing solutions that can help improve service desk operations. While a variety of ITSM solutions are on display, there will also be a focus on identity and access management since the “identity” is whom you ultimately are serving as a service desk professional. If you empower the identities throughout your organization to solve their own problems and automate their typical requests, you reduce the workload on your service desk allowing them to focus on more important issues. This level of maturity will not come from ITSM products alone, so more strategic thinking around product selection is needed. As I have stated in the past, true IT business leaders should always be thinking about how technology can be leveraged in innovative ways to address not only their specific department or division needs, but also broader organizational challenges. In other words, when strolling through the HDI Expo or any other conference Expo, think about how the various vendors and their corresponding solutions can benefit not only you, but also the business as a whole. In some situations, a slight upgrade or change in solution choice could solve broader organizational issues resulting in a more simplified environment and ultimately lower costs that are shared across divisions. 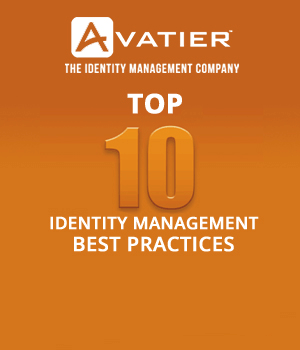 In terms of the Identities you support… identity and access management software is one solution that will not only help your service desk, but also help automate capabilities that will improve your entire organization. A true service management leader should recognize this and promote the benefits of identity management as a capability that will benefit multiple areas of the business while also helping promote a self-service culture, which ultimately reduces Service Desk overload. 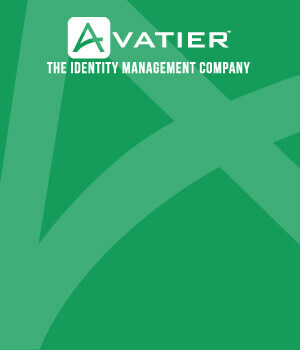 Think of the latest identity management solutions as a Service Catalog on steroids that can not only receive requests from the business, but also automate the execution of the requests across your core systems. Obviously, enterprise-class password management solutions that provide self-service password reset and synchronization capabilities are top-of-mind with service management professionals, but it is time to start thinking about the benefits of other identity and access management tools as well. The latest IAM software should be thought of as “automation” software since it can speak to all of your critical systems while also providing workflow features to improve security. Governance and Compliance initiatives will also benefit from integrated audit capabilities baked into the latest identity governance and administration software. This helps reduce the strain on service desks from having to extract ticket data for audits since this data is all managed within a single identity management framework. How should you best prepare to get the most out of a conference such as HDI? Prior to your trip, schedule time with other IT leaders and your most common requesters of services (such as administrative assistants or other people tasked with onboarding and off-boarding workers). Ask them about their request needs around access, assets and services so you are armed with broader business knowledge to help you evaluate all the possibilities available from identity management vendors. Even if you decide not to initiate a project and purchase a solution, you will learn more about your organization and your customers so you are a better Service Management leader. Come see Avatier in Booth 424, attend one of our events, and check out AIMS 9.5.